In the life of every writer-mother and her scholar-daughter, there are countless emails that count! 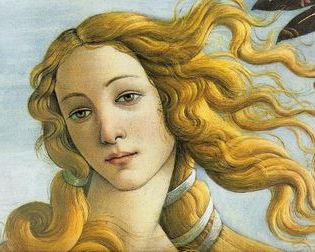 Late last February (2016), while I was on hiatus from posting essays (but not from contemplating them or composing a few), I exchanged with my daughter this lively series of statements about the Classics that Count for every female! On that day, it was the birthday of the dearly departed Bridget, known, among other enduring and endearing epithets, as The Baby Love. She was also known as The Valentine Pup and so it is only fitting that the Bridget-inspired purchases and emails produce, with much love, this Valentine essay. In the following email exchanges, I am “M” and Dear Daughter is “C”. M: Bought some sweaters on sale online for you. Happy Baby Love birthday! C: These are lovely! Thank you! You chose well. Bridget's guiding spirit inspired you, I am sure! M: I worked hard on this order! So many bad reviews. So much NEON. So many sizes sold out! 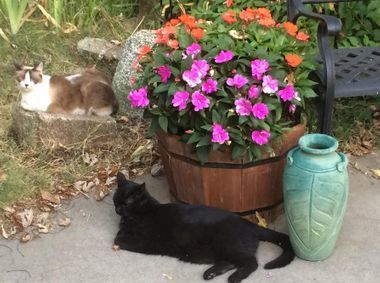 Have a good Friday night -- it is syrupy warm here. I got my 30-minute power walk done and 2 paragraphs translated. Gardening terms now. Not too thrilling! C: Yes, it is a real adventure to go through that sale section! So many missteps and ideas gone terribly wrong! But you found the best! Whenever I look, most of what I like is always only available in XXXXXXXS. The NEON has to go! Reading some Ovid, in lingua Latina, tonight! The Pygmalion story! M: I would love to know the real first story of Pygmalion! 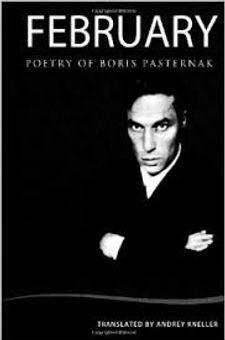 I started reading "February" by Pasternak — poems. So many images that recurred in Zhivago. He tended to re-work the same themes (nature, isolation, pain, love, loss, loneliness, cycle of seasons, homecoming). Beautiful but not much new ground broken -- I think the poetry served as working exercises for the prose poem that is Dr. Zhivago. And then of course there is the none-too-concealed contempt for the Communists. The 1954-1956 poems are bleak! PS: Dad read the synopsis of the Ovid story and it basically involves the sculptor falling in love with his own work -- ahah!! Interesting then how Shaw would have used that for the basis of his play. C: Shaw really picked up on the theme of the creator falling in love with his "creation," but he added the twist of making the creation resistant to the idea that she belonged to him simply because he was responsible for molding her. She had to be something more than just that! And we all know she should have ended up with Freddy! I also translated the Apollo/Daphne story (there's a lot from the Metamorphoses on the reading list). 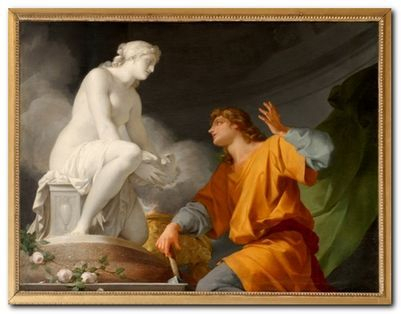 Apollo falls in love with Daphne, she doesn't return his affection so she turns into a laurel tree. 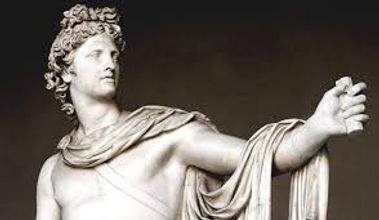 Hence Apollo's association with the laurel! M: I bought that Dior couplet today for you. I actually think Colonel Pickering was the best suited for Eliza!! I walked this morning on Taylor Road -- spring has sprung! The cats were too busy to see me early this morning so when I was in my bathroom at 10 or so, I saw Gabrielle seated on the wall, staring at me. Looking so sweet and lonely -- like I have ignored her! Yes, I knew about the laurel tree or bush -- is there an herb or flower the Ancients did not invent? C: Of course Gabby blames you for not greeting her! The Abandoned Cat Syndrome requires that you always be there for her! She knows how to spread the guilt thick! Has Annabella shown up? 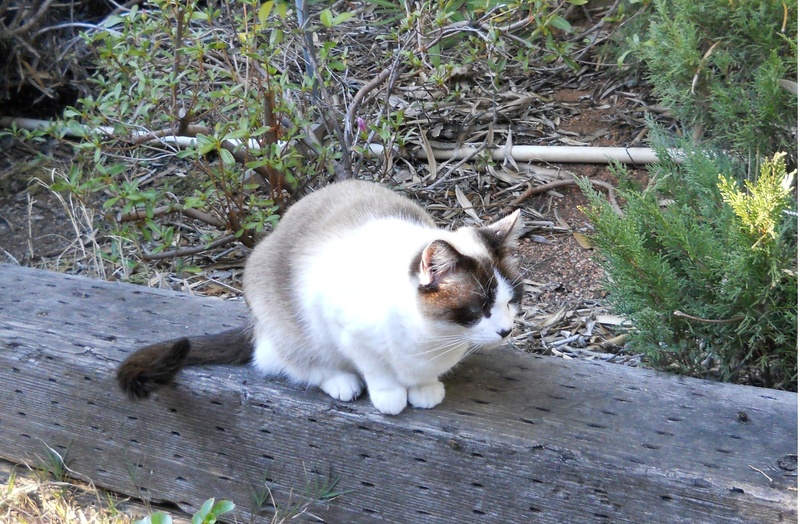 She loves the springtime; all those birds just waiting for her claws! Thank you for the little Dior set. After the Chanel mascara disaster I am ready to try their rival! Speaking of beauty, the new Bites are getting good reviews. I am excited about them! M: I have not seen Annabella but once right after lunch (fish, blood tangerine, almonds -- my snack was Cheddar Bunnies for some carbs!) -- she was marching down the wall and she gave me a glance! That Dior couplet looked so adorable! I will have to check out the Bite reviews tonight. 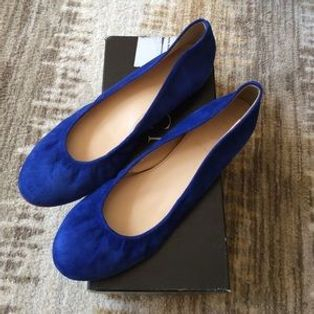 PS I have looked at the Bite reviews -- they look very dreamy/creamy!! Of course, the makeup reviews and clothing swoop-ups were set aside for the serious work of translation and writing and (for me) spring cleaning! It is always a pleasure, though, to take a break from the routine of work to enjoy frivolity, especially the female kind! Less frivolous, at least for me, is the topic of female beauty vs. intellect. They ought not be diametrically opposed and yet my experience has proven them otherwise. The beautiful brainy female has always been a conundrum, at least in advertising terms. In reality, the intellect of a female is something rarely expressed by her makeup, but it ought to be. 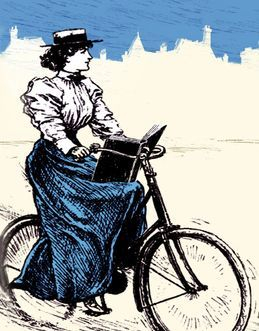 The long, lamentable but also utterly laughable images of the Plain-Jane, Puritanical, Dowdy and Unpretty female who reads books — be she a bluestocking, a bookworm, a bore, or a Bostonian old maid — those stereotypes have died hard. They now need a proper burial, complete with glimmering lip gloss, wet-to-dry eyeshadow, tinted moisturizer, and a touch of bronzer! 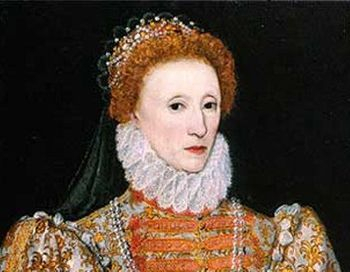 Queen Elizabeth I might have paid the ultimate price for her pure white complexion (a hallmark of pristine beauty in those days). The lead content in the white powder that she royally used on her face was more than hazardous to her health. Where was the English version of the U.S. Food & Drug Administration? The Queen was it! Elizabeth knew the power of a woman and the power of a monarch and she mightily enacted both; or, in a greater use of her powers, she withheld each force with cunning, charm, and the kind of wisdom that many modern women seem incapable of comprehending. I use the word “seem” because, once again, the public image of the modern woman is often at odds with her reality. 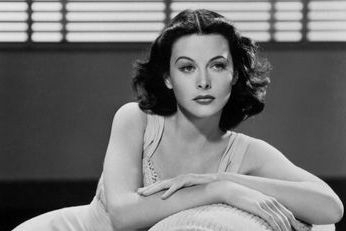 Brainy bombshells of yesteryear such as Hedy Lamarr, Marilyn Monroe, Jill St. John, and Angie Dickinson were known more for their bomb than for the brain inside those shells. Accepting the public misperception of their perception was a tacit price that those females paid for film success, fame, fortune and, on some levels, fulfillment. It has always struck me, however, as deeply inaccurate that the beauty of such women did not inherently equate to intellect or intelligence within the image of each female. True beauty comes from within. No amount of makeup can create that indefinable vision that, in essence, offers allure to all senses and impresses upon the mind loveliness and delight. In describing any character in fiction, the writer would do well to leave out more details than to provide a fully-fleshed description. The mind’s eye of the reader will fill in the omission of the features and physical traits. That composite mental image will be much more beautiful than any written cataloguing of features and fine points that may “draw” too fine a point. The author’s details of a character as they appear upon the printed page (or screen) meet the eye in a seemingly random fashion. A skillful writer of fiction attempts to create, or at least to imitate, the way that the mind perceives “reality”; in so doing, he carefully plots and plans not only the description of each character, but also the placement of those details within the text and the progression of the storyline. A depiction of a character that looks “off” to the mind’s eye will mar the story; so too will a poorly timed revelation of the physical traits of the “sketch” of that character. It strikes me that similar mismatches between reality and perception occur often in real life regarding the images of females, past as well as present. As Dear Daughter grew to adulthood, she encountered the same distortions of image and ingrained but inaccurate ideas about female identity that I’d confronted as an adolescent: smart girls don’t “go for” makeup; makeup junkies are airheads; professional women (a term that, to me, implies women of a certain profession) ought not wear sultry makeup in an “office setting”; don’t look too pretty or you won’t be taken seriously; don’t look too youthful or you won’t be given credit for your smarts & education. Why, you can’t possibly have beauty AND brains!! Admittedly, I once dealt with the same biases but when I heard them yet again, recently, albeit renovated for a new epoch, I was flabbergasted. In a world of 40-year-olds getting facelifts and 50-year-olds filling their faces with Botox, I find it nothing short of toxically hypocritical for any person of a certain age (over 40) to tell females of a certain age (under 30) that they look too youthful to carry off authority! This compartmentalization of female identity — along with NEON colors for clothes — has got to go! Shakespeare wrote, “To thine own self be true.” The artistry of cosmetics is intended to bring out the true self, not to camouflage or distort or disguise or hide the self in an attempt to be someone else or someone you’re not. That goal is best achieved with the application of stage or theatrical makeup. Yes, all the world’s a stage, but even the Bard would look hard, perhaps even with a double-take, at some of its more recent players. And yet, come again, that Bill just might look away! 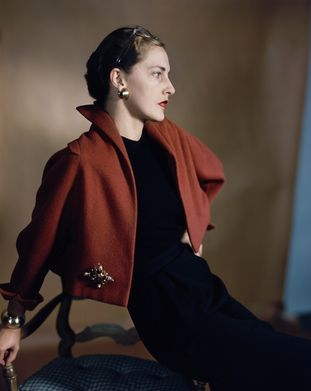 During the 1940s and 1950s, a time when women in America had less power and less opportunity to make use of their inherent power, there were fashion paragons of limitless originality. 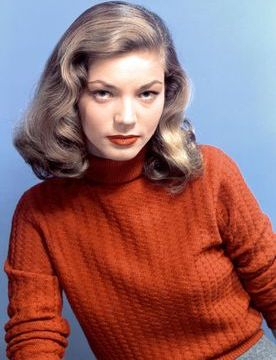 One such grand gal was Slim Hawks Hayward Keith. She was a woman of blunt and brutal honesty, qualities that were not always appreciated; and she dressed in a unique style of verve; classic, simple lines; bold but understated elegance; and quiet class. All of those properties were distinctly and decisively her own because they were her own creation. 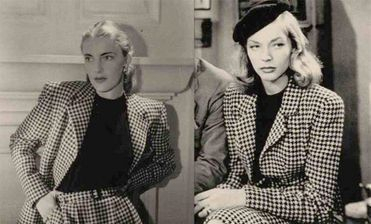 One gets the feeling that Slim Keith dominated whatever clothes she wore: she is the ultimate example of the woman wearing the clothes and not vice versa! 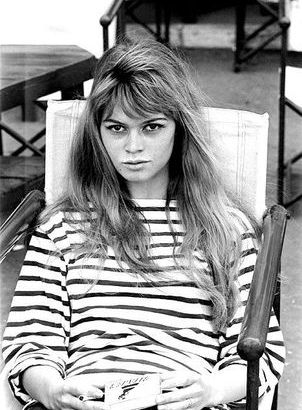 It is difficult to find photographs of her without a cigarette in her hand or mouth. She and her socialite friend, Babe Paley (socialite born rich gone richer), were the style mavens of their era who died too young, perhaps even tragically. I believe they were women trying to walk that narrow line — boundary, if you will — between femininity and independence. They tried to rebel against the conventional image of the American woman through their style of clothes. Evidently, the cigarette was their deadly comfort measure. They offered a real study in psychology, perhaps even female psychology! 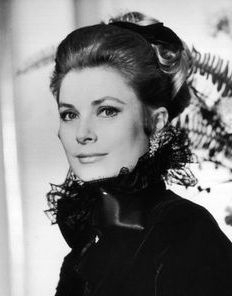 Grace Kelly was the epitome of style and grace, yet she asserted her own definition over each timeless quality. She also died too young, undoubtedly tragically. She left behind her countless photographic and film images that rarely captured the complete mystery of this woman. Like Slim Keith, she also spoke with blunt honesty. Her frankness, however, was less brutal, more polished; it was intended to intertwine the softly radiant allure of her physical beauty with her seemingly simple thoughts. She also claimed that she was basically a feminist: she believed women could do anything they decide to do. Coming from a woman who became trapped in a loveless marriage and who tended to make poor decisions, before and after the loveless marriage, those statements were sincere but scarcely simple. 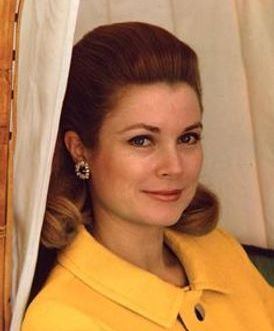 They deftly expressed her silent longing for the freedom that she forfeited as part of her fierce drive to be seen on a world stage, one upon which she, the individual, Grace Kelly, became obscured, and slowly smothered, by her royal role, her fame, her title, the name of Princess. Freedom, emancipation, liberation, any term bandied about today as if it were just invented by the media — they are classic terms dating back to antiquity. And they are poorly, even sadly, misunderstood by too many women. American women comprise a major portion of that group of individuals who think, or feel, that independence is a guaranteed license to indulge in garnering attention for the sake of garnering attention; and to ultimately behave in ways that degrade the civilizing influence that has historically and rightfully belonged to women. It’s a ghastly sight. No amount of makeup or clothes can disguise the tawdry lack of taste. It’s best to avert the eyes from such displays of tackiness parading as “iconic” beauty or even femininity. At times, I feel sorry for men, and that’s a rare sentiment on my part! Those females lack sense, in many ways, but most of all, they lack a sense of style, true style. Creating a sense of style — classic, eclectic or whatever — does not require money. 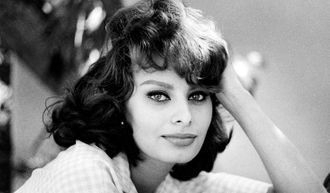 I read long ago from Sophia Loren that the female with a purse full of money usually does not develop her own style. She is able to go out and buy whatever she wants and she is never really forced to choose out of necessity clothing that is perennial and must last. She does not build her wardrobe around her self, but around her pocketbook. Some women never get to that fundamental step of purchasing clothes that are timeless, those “basics” from which to build the foundation for a wardrobe. They are always following trends, buying gobs of expensive clothes and they are still not happy about anything they wear. They wander from store to store, mall to mall, website to website, brand to brand, in a state of confusion, and not just in physical terms. These women do not know the looks they want to wear or the way they wish to wear them. They opt for a “style” that is “in”, never realizing that the manufacturer and the retailer of the merchandise are the only ones gaining anything in this bargain of garments made “just for her.” Clothing is now made for the masses. It is nearly impossible for any one female to create a “signature look”, unless she understands what looks good on her and what looks awful. The success of a show such as “What Not To Wear” was an indication of the frightful plight of shopping for just about anything to wear. Without a signature look, no woman can ever hope to possess a signature style. The only signature she offers is the one on the credit card receipt. How is this dilemma solved? Certainly not by the clothing and the accessory retailers. Let’s say they were to offer an entire array of magnificent wardrobe staples, along with quality impulse buys and fabulous optional purchases. Any woman lacking a sense of her true self will continue to follow the trends, imitate someone else, mimic the “models,” glom onto the images of public figures to develop her own look. It’s a sad statement about any person, this carbon copying of clothes worn by other people (who are often paid to wear the clothes). It is, above all, most unfortunate for modern women, the ones with liberty and licenses to do all kinds of things. There’s the rub for so many women — they lack a true and strong sense of self — a real identity. It is 99% of how fashion retailers make their money, from the females with slavish devotion to the supermodels and the "reality tv stars" and whoever else traipses across the retail runway. This dismal situation is avoided, even happily abandoned, by any woman shopping the classics. Just what are the classics? What is a classic style? A style that is basic and never goes out of style is classic. A style that was en vogue when you were twenty that has returned to the fashion world when you are, say, forty but it is being worn by females of all ages — that style has become a classic. Wear it if it complements you, if it flatters you: body, mind and spirit. To wear a style that was en vogue when you were twenty but it has become popular again only for twenty-year-olds (because it only looks good on twenty-year-olds) — that fashion choice is known as “clinging to your youth.” That attitude is never classic. And a woman who is classic is known more for her attitude than for her attire. Such an attitude is, at heart, youthful, because it looks forward, not backward. Shopping the classics does not mean buying clothes that are dowdy and boring; it does mean buying clothes that express who you are, who you dream to become, who you will always be. That kind of attire is always exciting, alluring, exceptionally beautiful, and feminine according to the definition of femininity created by the individual female. In short, she has arrived at her own classic identity, one that is timeless but which dynamically changes over the course of time. Once a female has established her own rules for fashion, her own foundation of what works and what does not work for her, she can then build upon that basis and create her own world of style — and beauty. That beauty becomes classic because it is sui generis: unique. It comes from within the woman; it is not imposed from without. Classic beauty, like any classic book, possesses and expresses a magical mixture of the ideal and the real. It thus creates something distinctly individual, original, and ageless. This “something” is like love; it’s the kind of thing that money can’t buy. And during the time that any female is developing that “something,” (which is a lifelong flowering of self), it is always exhilarating and liberating for her to open a good book, actually read it, and then take a break to reward her mind — and her true self — with some tangible assets, classic awards and honors. Aphrodite would agree (lovingly insist)! 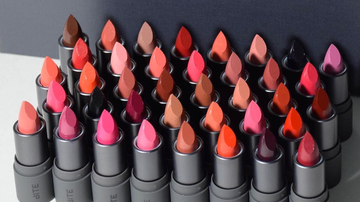 At least one tempting tangible asset was found among those online swatches of the new lipsticks. They are phenomenal! My first bite was a creamy delight in muted peach! The first bite for Dear Daughter was a dreamy dusty mauve. I believe we have been bitten hard by this new formulation of a classic cream lipstick. Shopping the classics, in books or in beauty, always brings some level of euphoria! The word, euphoria, comes from classic Greek, euphoros: borne well, healthy. Kudos to euphoria!